Hygiene, proper hygiene... important in and by itself. When operating on an industrial scale? That can pose a problem, that requires hygiene solutions! A mere bar of soap and quick wipe won't do; the most strict standards for hygiene, such as HCCP, IFS, and NSF have to be met. At all times. Not an easy feat to achieve. Well, not with a dishcloth and a bottle of kitchen detergent. That is where hygiene technology comes in. The latest developments and finds the result in an increasingly wide range of hygiene solutions. For instance: how to achieve - and just as important: maintain! An environment that is absolutely spotless? How to make sure ALL personnel adheres to the guidelines faultlessly...at ALL times? The latest developments in hygiene make clean living in industrial scale much easier. MORE ON EQUIPMENT FOR INDUSTRIAL CLEANING READ HERE! Especially in industries with sensitive production areas, such as Food and Health Care, personnel access and hand hygiene must be strictly guarded and controlled. Facilities such as hand hygiene stations must be within easy reach for all personnel. This can be achieved by a sufficient degree of placement and distribution of carefully designed hygiene equipment. one of a variety of hand hygiene stations with a turnstile. Personnel access will only be granted after the process of cleansing and disinfection has been completed. The all-to-human risk of hurried employees skipping steps in the hygienic process are overcome. hand sanitizers, that can function as stand-alone or be incorporated within a hand hygiene station, operating as a handwashing or hand sanitizing unit. washbasins in stainless steel. These are available in many sizes, depending on the number of employees likely to be using the hand hygiene facility at any given time. The washbasins can be operated by a sensor or knee, to be mounted to either the wall or floor, with the option of a water-mixing valve. Temperature range: 35 -60 °C. air blade hand dryers. 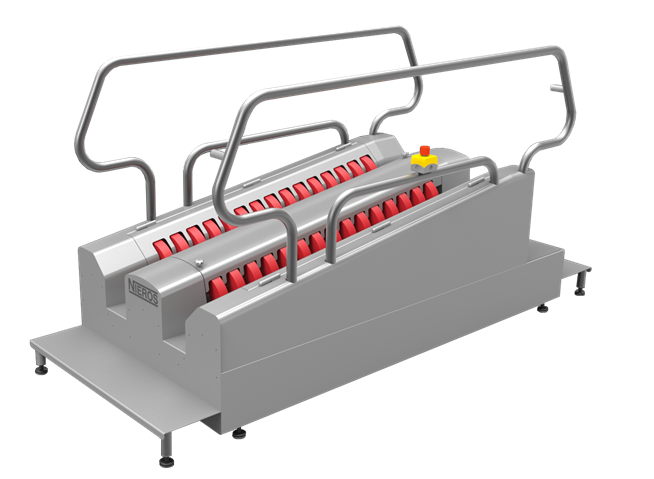 As these offer the quickest hand hygiene solutions - a mere 12 seconds for each pair of hands, this method is especially suited the food production industry, known to be periodically very busy and operating at a fast pace. 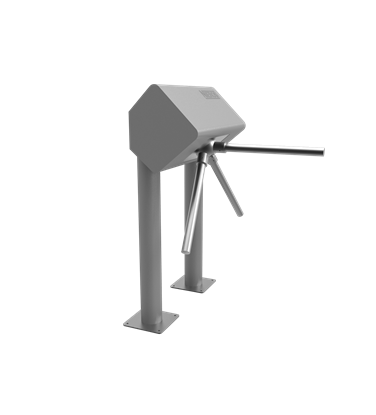 tripod turnstile for controlled entry or exit, constructed in durable high-quality stainless steel, available as a stand-alone model or be mounted to floor or wall. In conclusion, why is the implementation of hygiene technologies so important? It is safe to say that technology in industrial hygiene leads to many possible applications. Most importantly: it leads to the required standards in industrial hygiene. Independent of the size and nature of any industry sector, independent of personal number and turnover. Problem solved. Hygiene solutions found. Deploying the latest finds in the technology around hygiene. Then, the requirements are not only met. The requirements for industrial hygiene equipment are exceeded! Which lifts “good and adequate” into Excellent! And as free of risk as it is humanly possible to achieve.